Hello and welcome to this little video which will quickly guide you through setting up your first blog step-by-step. 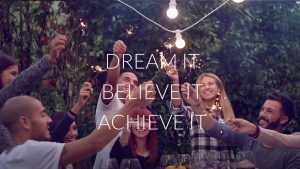 So, follow along with me and lets get straight into our proven and easy 3 step WTC Process that will get your business started online. 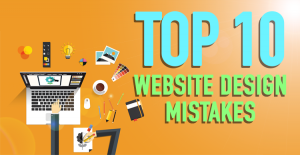 Step 1: Picking out and registering your website address. (This is also known as your domain name). 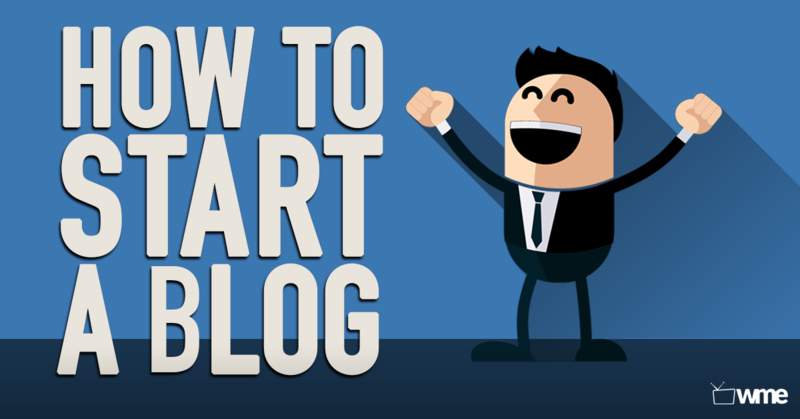 Step 2: Getting started with WordPress and publishing your first ever blog or website. Step 3: Getting your blog or website online with a theme so it can immediately be viewed by visitors on the Internet. Plus we’ll give you the secret sauce we use to drive quality visitors back to your blog with our 3 favorite tools. These tools will help grow your fans and your online presence. They’ll make sure your visitors can easily share your content. And they’ll provide an effective way to grow your subscribers list, which once set up, works for you 24.7! I’ll also guide you on adding your very first post to your blog! Did you know that some of the biggest companies in the world use WordPress for their websites and some of the most famous people use it to run their own blogs? People like JAY Z, Katy Perry, and companies like Forbes, The New York Times, SONY are all using WordPress. That’s because WordPress is so easy to use anyone can create a blog, grow it, and in time gain thousands of fans! To give you an idea of what you can create in the next few minutes this is the blog we’ll be putting together! It’s clean, fresh and really easy to work with and add your content to in just a few clicks! 1. How do I get started online on a super limited budget? 2. How can I create my own blog when I have no technical knowledge? Because let’s face it. If you’ve never built a blog before, it can be really overwhelming. But, honestly, here’s a little inside secret. It’s super simple to get started. You don’t need a lot of money or even a lot of time to get started. In fact, this is based off our proven 3 step WTC system. You’re going to love it! Head to HostGator.com. This is the hosting service we have used for years because they are so reliable, their customer service is great, and we have never had any problems! All you do is click on “Get Started Now.” Then Choose a Plan, and choose the Hatchling Plan which is ideal to use for a blog. Now choose how how you’d like to pay either month to month or for a whole year. I’m going to choose monthly for this example. As you can see it is cheaper to do it for a year, or for 3 years, so keep that in mind. This is where you choose your domain name, which is your website address. For example, ours is WebsitesMadeEasy.tv. So take your time to think about this. It’s important to get it right. I would also recommend not using any dashes in your domain name because this interferes with SEO. SEO stands for Search Engine Optimization. I have made a whole video about this topic, so be sure to check that out here! If the name you want isn’t available play around with it, you can also change it from .com to .gov or whatever you’d like, for example ours is .tv because we thought it was appropriate for our website. If you’re having trouble figuring out a strong domain name, check out our Top 10 Tips On Choosing The Right Domain Name For Your Business, here! Now scroll down and choose a username and enter a security pin. Now all you do is just put in your payment details. I’ll do this in a moment. Make sure you use an email address you have access to because HostGator will send an email which you need for step 2! Next scroll down and you’ll see the cost is still quite a bit. But, don’t worry though because now we will bring it right down! Scroll up to these extras which we don’t need right now and deselect them. Now for the coupon code enter “launchmyblog” and validate it and the cost should have come right down! Check that you’re happy with everything and click Checkout Now! Congratulations! You’re now the proud owner of a website domain name! You’ve completed step 1, and you’re well on your way to having a live blog! Step 2 is super easy. 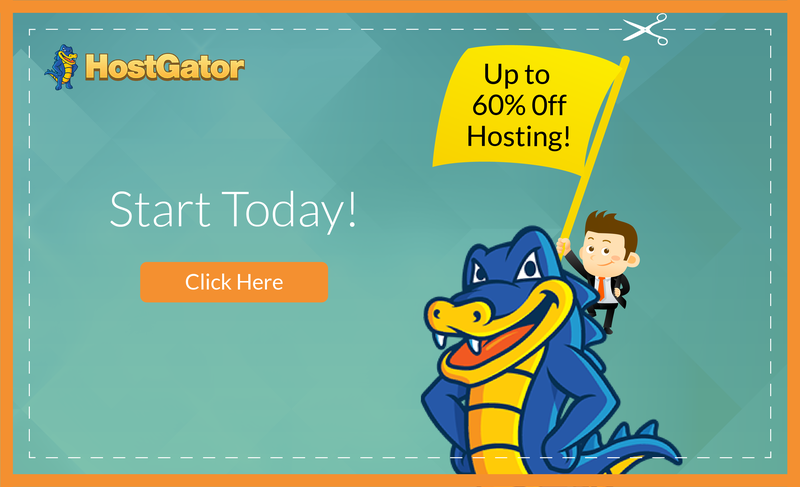 You should have received an email from Hostgator and inside is your username and password along with a link to your C Panel. Make a note of your username and password and click on the C Panel link. Now enter your details and sign in. This page is the control panel for your website and there are lots of different things here. Don’t worry! We are only here for 1 thing! Scroll down and find Quick Install under Software and Services. Click on Quick Install. Now find WordPress under popular Installs on the left and you just need to fill in the email address of whoever will be maintaining your blog. So if that is you, enter your email address, choose a title for your blog, a username, and your first and last name. Then just click on Install WordPress! 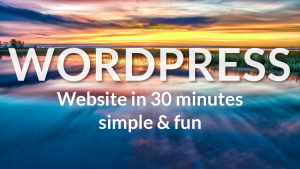 WordPress is installed in seconds! This has now your Installed WordPress onto your domain name, and your website login details have been emailed to you along with a link which takes you to your website login. Think of this like the backdoor into your website, which allows you to customize exactly how it looks and functions. So, now head over to your emails and find the link and your username and password. Make a note of them and click on this link and you’ll be at the login page for your website. Now all you do is type in your details, and you’re in! Congratulations! You’ve now set up your website and it’s live on the internet! This is your Dashboard where you can customize your blog. You have a toolbar on the left with lots of different options such as Posts, Pages, Comments, Appearance and Plugins, as well as Settings, which has the general settings for your blog. Lets check out how our fresh new website looks right now after installing it. To get there quickly from the dashboard, hover over your name and then click View Website. This is how your WordPress website looks straight out of the box! We’re going to transform this in the next step, step 3, where we are going to be installing a brand new theme which makes blogging a breeze, and looks fantastic, so lets go do that now! To get back to the dashboard scroll up and click to return to the Dashboard. In Settings and General you have site title and tagline which explains briefly what your blog is about. In the Reading section, you can change what your front page displays: Either your latest posts or a static page. You want your latest posts to be displayed because we are making a blog, so your fresh content is always on top and ready for your viewers to see! Installing a theme is super easy! Like everything on WordPress, you don’t need to know any kind of programming or anything like that. You don’t even need to know how to design or draw anything because everything is done for you! Even creating artwork for your posts is straight forward and FREE to do with a nifty little tool! Trust me, you don’t want to miss out on that, it’s a complete game changer! You always want to make sure your WordPress blog is responsive. This means it can work on mobiles, iPads, Desktops, anywhere! 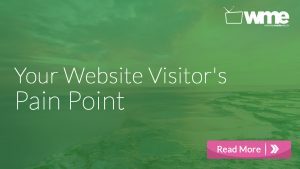 This is extremely important because if your visitors using their phones can’t get your website to work, they just won’t bother. They will go somewhere else and more and more people are using their phones to browse blogs. So, make sure that it is responsive! The theme we are about to install is completely responsive so it will work on everything! So, to install your new theme, find Appearance and then Themes. Then click on Add New Theme. Now search for Omega. Installing is a simple 2 click process. Click Install and Activate and you’re done! Lets now see how our fresh new blog is looking with this new theme! Again scroll up and click to go to your blog. This is looking much better! And we haven’t even added any content yet. This is the structure of your website. From here you can fully customize how it looks and functions. This leads us to our next step! So head back to your dashboard and I’ll show you how to add your first post and some awesome plugins to take your blog to the next level! Plugins are little bits of code that you can add onto your blog to enhance it’s functionality. It could be a contact form, a photo gallery, SEO, Google Analytics, or a super easy way for your visitors to share your content by just clicking a button! I’ll introduce you to a couple of these that you need to start using with your blog. You can always find videos that guide you through every plugin we recommend on our website! To add a post, go to Posts and Add New. This, then, brings up a few fields for you to fill in such as a title for your post and the main body of the post. You’ve also got categories and it’s a good idea to add some categories and then add your different posts to the correct category so your visitors can then find more of the same thing if they want to. To add an image, all you do is click on Add Media and select the image you want to use. Then click on insert into post. Easy! Your image is then placed into the content area. To add a video is also very easy. Just copy the video embed code, for example, from YouTube (You’ll find that underneath the video.) And then paste it into the content area. Then all you do is add a cover photo to your post by scrolling down to Featured Image, selecting the image you’d like to use, and adding it. You’re all done and your post is now ready to go live on your blog! So, now click on Publish to post it to your blog and we’ll see how that looks. This is looking awesome! How easy was that to add a post? Now that you know how to add a post, lets talk about how to add plugins to customize your blog even further. As I mentioned earlier, plugins are bits of code which add functionality to your site such as contact forms, for example, or social media buttons, which allow visitors to share your content quickly and easily. Lets add some of these buttons now! This is so important to do. Allowing your visitors to easily share your content to their Facebook or Twitter will get you and your blog even more visitors. This Word of mouth marketing is one of the best ways to gain more subscribers! To Install a plugin, go to Plugins and Add New. The first plugin we’ll install is called WP Socializer. So search for that and click Install, then Activate. 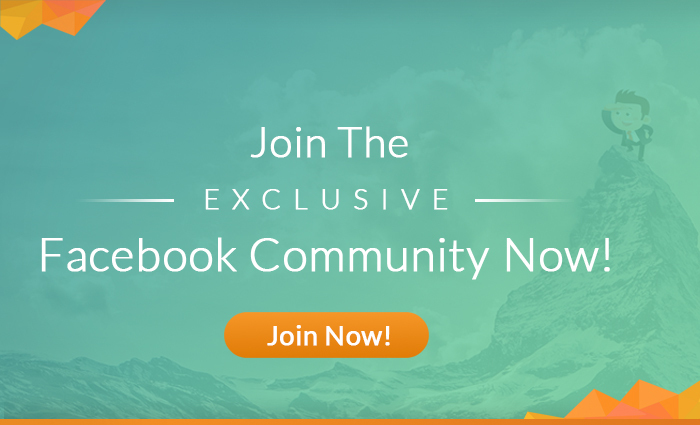 WP Socializer adds social bookmarking and sharing buttons to your posts. So if we take a look at our blog, we now have some nice looking share buttons below the post which visitors can click in order to share your content easily! To customize these buttons, you’ll find the WP Socializer icon on the left. Here you can create your own buttons if you want or just use the default buttons which come with the plugin. These are the ones we just saw under our post. If you click on Edit Templates and scroll down, you can choose where you want the buttons to be placed (either above or below your posts) and if you want them to show for individual posts or for pages. Then click Update and you’re done! The next Plugin we recommend you start using is Yoast WordPress SEO. This plugin enables your content to show up higher in search results such as in Google and gives you a preview of how your posts will look in search results. Let’s install it! I’ll show you some ways it can benefit your blog. So, go to Plugins and Add New. Then search for Yoast SEO then Install and Activate it. Yoast SEO is used by millions for Search Engine Optimization. You’ll see the SEO icon on your toolbar. You also have additional menus if you scroll over it. General has a quick tour of the plugin, and options for your information such as the website name. This is definitely good to fill out. The more you can tell the plugin and fill in, the better it will rank in Google’s search results! So, use keywords, tags and meta descriptions when you can. Now click on the Titles and Metas section and click on Homepage. Here, fill out the title of your blog. Then add a description here which tells people what they can expect to see. This is the writing you see underneath search results. You can enter keywords which relate to your blog. So, if you have a blog about gadgets, for example, you could enter Gadgets, Apple, iPhone, Smartphone, Watch and so on. Make sure to save changes! Next, click on Post Types. These are the templates for each post and page. You can leave this as default. Now click on the Social section. Here you can enter your social media URLs which tells Google about your social profiles. When you create a post, you also have options to fill out for that post. It gives you a preview of how your post will look in search results. So, you can customize it until you’re happy! I mentioned earlier about a plugin that would be a game changer for your blog, I’m going to tell you about that in a moment. I’ll also let you know about another absolutely brilliant service that will really help you and your blog grow! The first is a plugin called SumoMe Listbuilder. It works for you 24.7 once it is set up and is very flexible and really easy to use. It can double your subscriber list easily! The other service is called Canva which is a fantastic website to design all kinds of media from Facebook posts, Instagram images, infographics, letters and everything you can imagine! 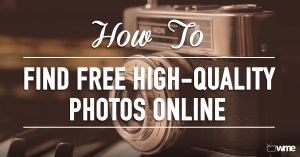 Both of these are easy to use and invaluable for you to grow your blog and online presence. They are both too long to go into for this video so I’ve linked them both here for you! SumoMe Listbuilder and Canva. I hope you enjoyed watching and can now build up your blog and confidently add posts and grow your followers. If you’d like more in-depth videos about blogging, we have you covered! If you found this video helpful, please quickly give it a like and share it with friends. If you have any questions please leave us a comment! SumoMe Listbuilder and Canva are coming up next, see you in the next video! I followed your tutorial and it is very helpful. I am actually starting my own blog. I bought a domain name from hostgator and verified my payment, but I couldn’t be able to open my cPanel. When I try to open the link, it says “we can’t reach this page”. what do you think is the problem? do you I need some kind of software in my computer?